In December 1993 the Grantham Navigation Association was able to proudly announce the green light for its first restoration initiative. On Wednesday November 24th 1993 the Environment Committee of Nottinghamshire County Council had agreed an application for a Derelict Land Grant (DLG) for £400,000 to restore the 2.3 miles eastwards from Hickling Basin towards Hose. The largest DLG then granted to the Grantham Canal enabled the project contractors, British Waterways, to replace three farm bridges with high specification swing bridges and complete dredging and bank reinforcement work. The project was scheduled for completion by March 1994. 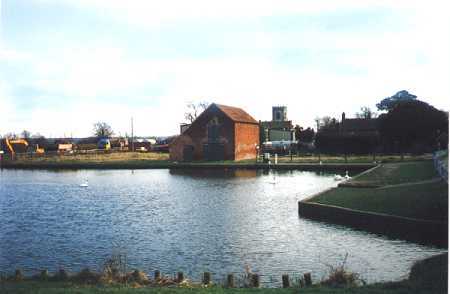 The project plan for the Hickling to Hose section was published by the Grantham Navigation Association in April 1993. The plan was circulated to Nottinghamshire and Leicestershire County Councils, Melton and Rushcliffe District Councils, British Waterways and the Inland Waterways Association. At a meeting in August 1993 with Ian White, Regional Manager North-East, British Waterways agreed to support the project and John Nuttall, Special Projects Manager was appointed to represent their interests. A presentation in September to the Restoration Committee of the Inland Waterways Association secured their enthusiastic support and enabled contact with the Department of the Environment. Their immediate signalling of funds availability for a viable project was communicated to Nottinghamshire County Council where the interest and enthusiasm of Mike Dale (Group Manager, Reclamation), assisted by Peter Lees (General Manager, Countryside) resulted in the Derelict Land Grant process being initiated. The GNA logic of asking the local authority to make the application was that they could make a 100% grant application – the GNA itself would have qualified for only 70% of the money required. British Waterways agreed to act as main agents in letting contracts and site meetings to agree project scale and scope resulted in the final plans being agreed. It is apparent from the above sequence of events that all the organisations worked with exceptional speed and effectiveness in enabling the Environment Committee of Nottinghamshire County Council to approve the project in the time taken. This project was the first to be promoted by the Grantham Navigation Association. They had, in barely a year, succeeded in one of their prime objectives of uniting a key local authority, British Waterways, the Department of the Environment and the Inland Waterways Association behind a well crafted, cost-effective and strategically important project. 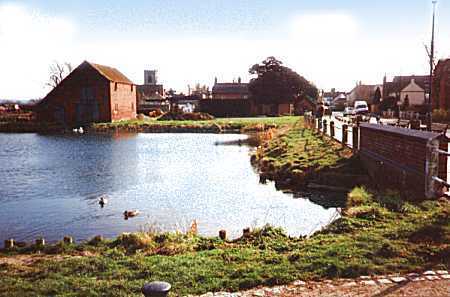 The opening ceremony took place at Hickling Basin in June 1994. The Grantham Navigation Association thanked and congratulated all the organisations who had supported their initiative and complimented the individuals concerned for the speed and professionalism with which they achieved a successful conclusion. They looked forward to a similar response to new projects then being developed by the Association – as you will read elsewhere, however, it was not going to be quite so straightforward.